We assist with every kind of family issue, including divorce and divorce-related issues such as custody and visitation, child support, spousal support, modifications and enforcement. We help in establishing paternity, creating reliable guardianships under California law, and dealing with child alienation and reunification. We are always excited to assist with adoptions. We work with you on a flexible basis. Many clients want full representation, in which we represent them through all stages of the legal process, including litigation. Others prefer limited representation, in which they choose our level of involvement, to minimize expense. Our attorneys also work through family issues as neutral third-party mediators, avoiding the tensions of courtroom litigation, and maintaining greater control of the outcome. The key to our approach as family lawyers is maintaining a child-centric focus. We take care to see that our clients and their children are protected during all legal proceedings, in court and in the mediation process. We use this same care in complex matters such as high-asset divorces and family business disputes. If you need a family law firm that is careful with the things you value most in life, we welcome your call. 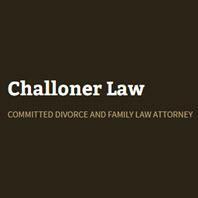 Challoner Law is conveniently located close to the Sonoma County Civil and Family Law Courthouse in Santa Rosa.